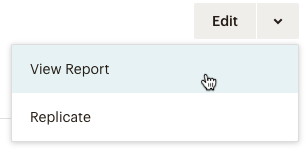 Mailchimp's automation feature allows you to create targeted emails that send when triggered by a specific date, event, or contact's activity. Our Automation Builder offers powerful segmenting, scheduling, and design tools in one easy-to-use package, so you can send email campaigns that inform, reward, and engage your contacts, automatically. In this article, you'll learn about automation and how you can use it in your email marketing plan. When we talk about automation, we use some terminology that's a little different from how we talk about other tools and tasks in Mailchimp. An email or series of emails sent to a contact based on a specific trigger. Any distributed content that's created and measured in Mailchimp, including automations. The settings, schedule, and content for distributing a series of automated emails. The period of time between a trigger event and a send. A batch of contacts who have met an automation's criteria, and are waiting to receive the next email in a series. The event that starts an automation email or series. For example, someone subscribes to your marketing or purchases a particular product. A regular email campaign sends to your contacts at the time you choose. With an automation campaign, emails are sent automatically to specific contacts as they meet your trigger and sending criteria. Choose an automation type, create one email or a series of emails, and set your sending criteria. We'll use activity and contact data to determine who should receive your emails and when. After you set up an automation, Mailchimp will manage your queue and email sends, so your emails get to the right people at the right time. For marketers whose contacts have a clear path from signup to conversion or repeat engagement, automation can streamline communication. Depending on your business model, you might send a birthday coupon once a year or a series of solicitations every few days. When you convert regularly sent campaigns to automations, you'll reduce the amount of time you spend on content creation and increase your ROI. If you connect your store to Mailchimp, you can also use automation for transactional messages, like abandoned cart emails and order notifications. These automations will reach anyone who abandons a cart or places an order in your store, even if they haven't subscribed to your marketing emails. A workflow is the schedule, trigger settings, and content for your emails in an automation. Trigger settings cover a variety of different criteria, like a subscribed contact's birthday or signup date, or when someone makes a purchase. Mailchimp offers many automation types with built-in triggers and other configuration details for common activities, but if our pre-built options don't fit your needs, you can modify them or create a custom workflow from scratch. You can also pause and edit the settings of an active automation. After a subscribed contact receives the first email in an automation series, they'll receive every email in the sequence, unless they are removed from the automation. Subscribers can only trigger and receive the emails in an automation one time, with the exception of date-based automations, abandoned cart emails, order notifications, and product retargeting emails. To learn more about different automation workflows, read Automation Types. The Campaigns page in your account gives an overview of each automation, including sending status and performance trends. The Campaigns page gives you the option to view your campaigns based on their status. Click Draft to see only campaigns you are working on and haven't sent yet, or click Ongoing to view active and paused campaigns. You can find your archived automations in the Archived folder. Next to the name of each automation, we'll display a label to indicate its sending status, so you can quickly tell whether things are working as expected. Draft Your automation hasn't started. Sending Your automation is sending. To edit emails, you'll need to pause them first. Paused All of the emails in your automation are paused. Some Paused Your automation is sending, but at least one email is paused. Archived You've ended the automation. You can replicate it or view its report data. On the Campaigns page, you'll be able to view open and click rates for each automation. Hover over the percentages of opens or clicks to see the total number. If an automation uses e-commerce data, the revenue dollar amount will show here, too. To see more information about your automation's ongoing performance, click the drop-down menu and choose View report. Learn about Mailchimp's automation types and how you can use them. Learn about the triggers you can use to activate automations, ranging from list subscription, product purchases, cart abandonment, and more.